Roof battens are used in the construction of traditional roofs the world over and are at the heart of virtually every roofing project. Whilst they are ideal for pitched roofs, they can also be used in flat and green roof projects. When combined with the correct tiles or slates, timber battens provide you with a classic and highly durable built. When planning which materials to buy, it’s vital that you select those crafted from high quality wood and with minimal moisture contents. Our premium timber battens are made from slowly grown spruce and have minimal moisture contents. This provides superior strength and durability. 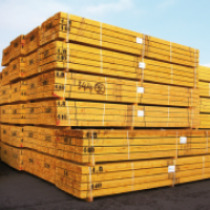 Our range of roof battens include two popular sizes. These battens are BS5534 graded and contain below 22% moisture. This means that the two batten choices below comply with British Standards and are suitable for virtually any project. Another advantage of timber is it provides a strong anchor for the nails or clips, enabling you to easily attach and secure tiles or slates. To ensure consistency, our timber battens are graded twice a year by an independent third-party. This ensures that the batten you recieve is of the quality you expect, therefore providing you with confidence in your choice of roofing batten. Have Questions About Our Roof Battens? 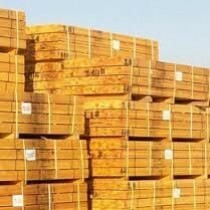 If you have questions about our range of timber materials, speak to our team online or by telephone. With over 40 years of experience in roofing, we’ll help answer your questions about roofing battens. We will also help you pick the necessary fixings and flashings for your project. Roofing battens are at the heart of virtually every roofing project. There are, however, a few common questions our customers ask before buying timber battens. Below are answers to each of these! Which British Standard Must My Roof Battens Meet? Battens should comply with BS 5534:2014, which covers virtually all types of roofing applications. This British Standard considers the overall quality of the wood. This includes whether there are any knots, splits or staining throughout. BS 5534:2014 also outlines a maximum moisture content. When buying your roofing battens, you must ensure they have documentation to support their compliance with BS 5534. This will confirm the origin, basic size, type of preservative and grade. Moisture can significantly impact the integrity of wood. The moisture contents of roof battens is therefore strictly regulated, although it can vary per region. BS 5534:2014 requires your timber battens to have a moisture contents below 22%. If a batten exceeds this limit, it will not need the standards required. Do My Timber Battens Have to Be Graded? Yes, assuming you will be using them for roofing applications. This is as roofing battens must have been graded before they can meet the requirements of British Standards. 'Graded' batten have been throughly checked by hand or laser. This checks that there are no significant flaws in the wood, such as knots or splits. If you have more questions about our roof battens, speak to our team online or by telephone. With over 40 years of experience in roofing, we'll help answer your questions and will ensure you have everything you'll need to complete your roofing project.